It's been a while since I've done a hunt so when I saw the notice I decided to give it a try. When you reach the store involved there will be a witches hat clue giver under the hunt sign. These are just some of the items I found. I prefer not to give out hints or locations but it's a an easy hunt that shouldn't take you more than a couple of hours. If you get stuck or lost try visiting some of your favorite Gorean Fashion Syndicate stores and pick up the hunt from there. The pumpkin backpack is actually the sheath for a scripted bow. Both male and female version available. The belt with quiver also comes in both male and female versions. Hair: "Say 2 - Red 01" is a gift available at the newly opened [elikatira] formerly known as ETD. Impulse Sweet Poison still has 7 of their group gifts available. Join for free and click the signs at the store location. Make sure to check out the midnight mania, the mini mania, and two lucky crates that work on both first and last name. Skin: "Alise skin vip gift" group gift available at .:::GARAGE:::. .:::GARAGE:::. has 4 skins available as group gifts. Join the group for free and look for the signs in store. 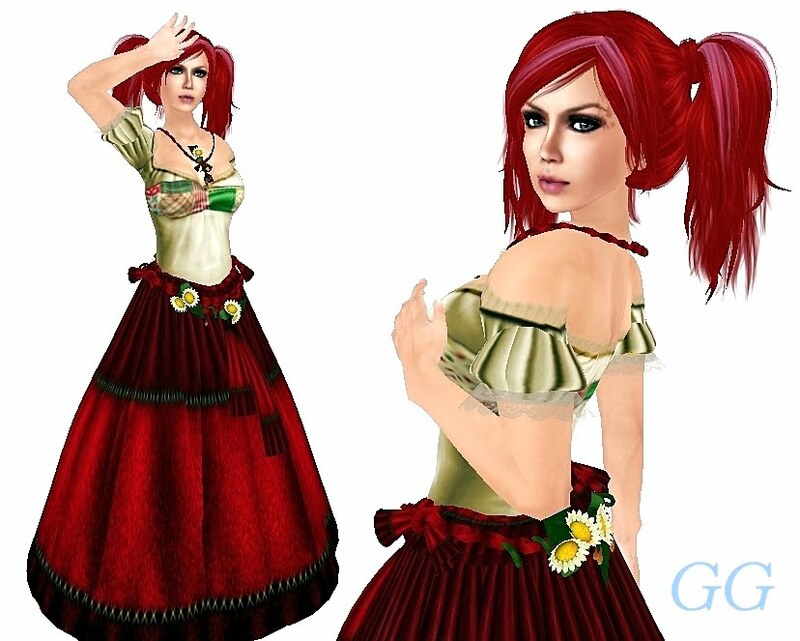 Skin: "Julia skin vip gift" in store group gift at .:::GARAGE:::. Truth has sent out a Halloween gift of several colors of the Cleo hair. Click the subscribomatic in store and check the history for notices. Skin: "Lara skin vip gift" in store group gift at .:::GARAGE:::. These skins speak for themselves. Halloween is a great time for roleplayers in SL. Where others see costumes, we see characters. 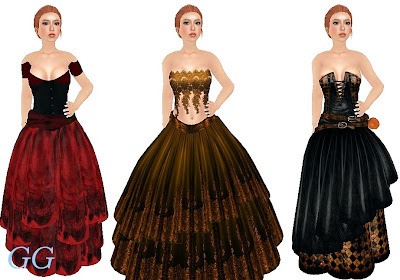 Frick is having a Halloween Hunt including several skins, makeups and a dress. Look for witch hats priced at 1L each. PixelDolls has this outfit with several wear options as a free gift. CheerNo is giving away this free Halloween hair style in black. There is also a gift of two male Halloween skins on the men's side of CheerNo.